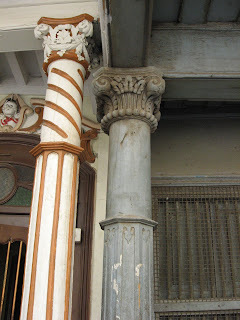 One of the remarkable features in the pol houses of Ahmedabad is the wide prevalent of Corinthian columns introduced during the British rule. Yet many may not know how and when Corinthian columns originated and developed in the context of world history. The Corinthian order is one of the classical orders of Greek and Roman architecture, characterized by a slender fluted column and an ornate capital decorated with acanthus leaves and scrolls. 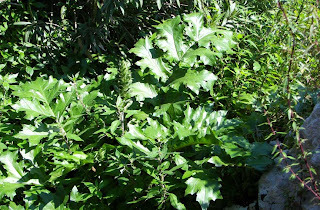 Acanthus is a common plant of the Mediterranean region. The Corinthian order has its root to the nature worship and religious sacrifices in Ancient Greece. In Ancient Greece, trees, rocks, mountains and other natural objects were believed to have contained divinities and were the objects or vessels of religious sacrifices. Scholars say that trees were the first temples in Greece. Each god and goddess had a special tree – the oak of Zeus, the myrtle of Aphrodite, the laurel of Apollo. The Greek art was full of sacred trees. There are depictions of sacrifices being made before them, temples built around and within them, and gods and goddesses appearing in their branches. Even after architectural temple came into existence, sacred trees remained. No temple was dedicated unless there was a holy tree associated with it. Trees or group of trees were often decorated with the gear and material used in animal and human sacrifices and with the remains of the victims – bones, horns, urns, lamps, fruits and vegetable relics, flowers and weapons. 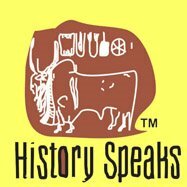 Animal Sacrifice: In Ancient Greece, animal sacrifices had involved both deconstruction and reconstruction of the victim’s body. Time and again in the Greek myths it is mentioned that the remnants of victims torn apart were collected, deposited and brought back to life. The killed animal was the unquestioned vessel of the god. When the victim’s own spirit departed, the god filled up the victim’s skin with plants, fruits, flowers, meat and vegetables. These were also common offerings to the ancient Greek gods. After the death of the animal, the animal’s carcass, the god’s container was steeped in his presence. This is why the worshipper ate part of it: the act was not just feasting but communion with gods. The worshippers’ own bodies combined with parts of the victim have to express the fact that the god had entered them. The victim’s body parts were in fact reconstructed, now in a different way, by uniting the bodies of the worshipper. To the ancient Greeks the limbs and organs of the body were felt to be the seats of different aspects of the personality. Heads, eyes, tongues, ears, fingers, thighs of the animals were thought to be the sacred to the souls, to the temper, to one’s human worth and virtue. They were arranged in rows on tables of offering, set out on top of the walls made into pendants and hung on. Human Sacrifice: In the earlier stage, the victims of the sacrifices were animals, which were later substituted with human – god kings, in which a god king was killed and like animal was also believed to be the unquestioned vessel of the god. The death of a human being like that of animal was or could be sacrificial. The bones were considered significant, and were gathered from the ashes of the pyre. The notion of divine meal was also present in the case of human sacrifice but acted differently. In the place of worshipper, the fire, i.e. the god was offered the corpse to eat. When the fire finished its meal, the bones and ashes were united in an urn representing the reconstruction of dead person within it. Sacrifices and Columns: Putting all these together scholars see an Ancient Greek temple as a grove of scared trees decorated with battles or hunting trophies, or decked at like an altar, with reconstructed sacrifices. The names for the different elements of a temple’s architectural order – the decorations of base, shaft, capital, architrave, frieze, cornice and pediment – bear this out. A column base represented foot or footwork – stepping and rhythmic movement of the victim while it was brought to the altar. 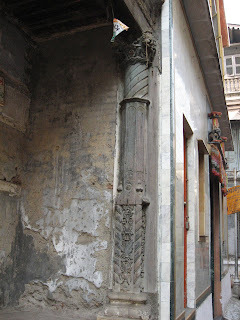 A cavetto molding, common in column bases, got its name from heavy ropes. Another aspect of the column base was the rich endowment of horizontal shadows representing goddess Scotia – the goddess of darkness and underworld things. Apophasis, the hollow curve between a column’s base and shaft, was taken from the word for part of a bone or blood vessel. The most human and also the most sacrificial part of a column was the capital. It represented the column’s head, the head of the personage whose feet, form and throat stood below. 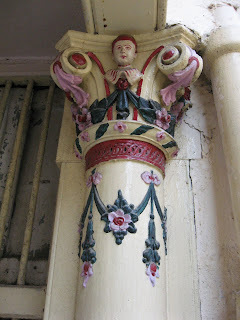 The capitals further symbolized ‘souls’ for the heads of humans, animals and even plants (i.e., their blossoms) were thought to contain their spiritual essences. The column heads like trophies consisting of warrior’s outer teguments – breastplate, helmet, spears, etc, showed headdresses and head ornaments. 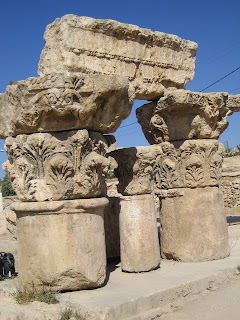 Corinthian capitals had heavy garlands, including blossoms, and also hair and horns. Horns as prescribed objects were gilded for sacrifice containing a soul-like substance, the life power. Above the columns was the broad expanse of the entablature – a symbolic table for offering…on which flowers, fruits, vegetables were arranged. The term Corinthian comes from the Greek city Corinth where this order was invented by Callimachus, an architect and sculptor working in the second half of the 5th century BC. Callimachus spotted the tomb of a young Corinthian woman who had died just before her marriage. Her nurse had decorated the tomb with a basket containing her prized collection of goblets and had laid a tile on top to keep them in place. An acanthus plant had grown up from the surrounding base of the basket, and its tendrils were curled back by the tile. Callimachus transformed the little tableau into the Corinthian capital. 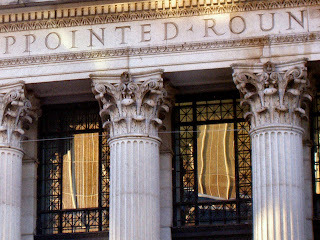 A Corinthian column has no neck beneath it, just a ring like astragal moulding or a banding that forms the base of the capital, recalling the base of the legendary basket. 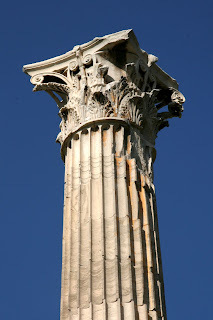 The oldest known example of a Corinthian column is in the temple of Apollo Epicurus at Bassae in Arcadia, ca. 450 – 420 BC. 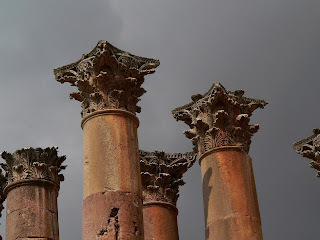 A few examples of Corinthian columns in Greece during the next century were also used inside temples. 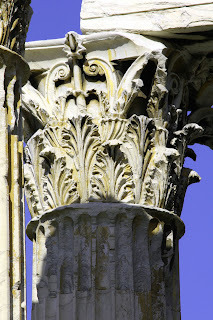 Although of Greek origin, the Corinthian order was seldom used in Greek architecture. In the later phase in Romanesque and Gothic architecture, where the classical system had been replaced by a new aesthetic composed of arched vaults springing from columns, the Corinthian capital was still retained. 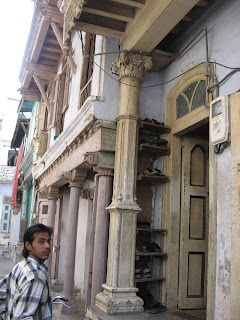 India has a long history of the use of the Corinthian pillar. 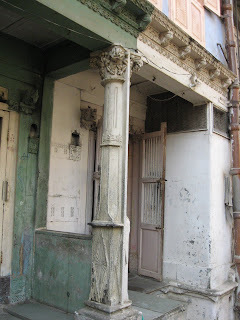 Indo-Corinthian capitals are capitals crowning columns or pilasters, found in the north-western part of India during the Indo-Greek rules (1st – 4th century AD). These constituted an important aspect of Greco-Buddhist art. 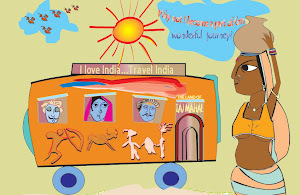 In India, the design was often adapted usually taking a more elongated form and sometimes being combined with scrolls, generally within the context of Buddhist stupas and chatiyagrihas. 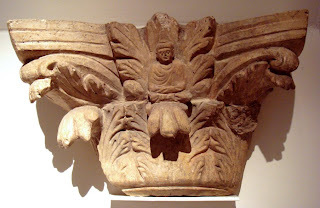 Indo-Corinthian capitals also incorporated figures of the Buddha or Boddhisattvas, usually as central figures surrounded by luxurious foliage of Corinthian designs. In the later stage during the time of the Colonial expansion, Corinthian columns fused Gothic, Baroque and Indo-Saracenic styles in Victorian and Portuguese buildings, public and private churches and houses were increasingly added in typical colonial cities like Mumbai, Chennai, Bangalore and their suburbs. 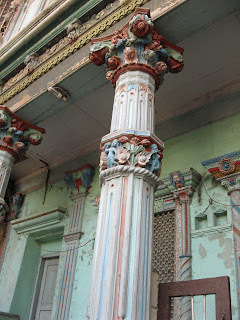 In Ahmedabad, Corinthian columns had been increasingly added during the British time. Yet in most of the cases the Corinthian orders were fused with traditional Gujarati symbols, such as kalash, scrolls, birds and human figures.